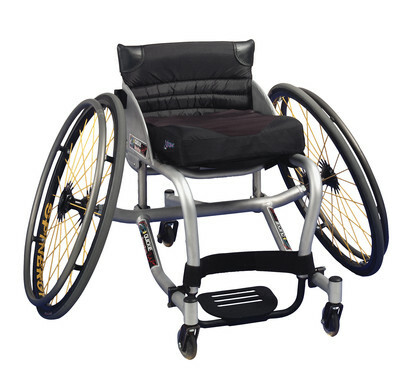 Bring a new level of confidence and competitive spirit to the tennis court with the Quickie® Match Point sports wheelchair. Designed for agility and control, the Match Point's lightweight frame is custom built for you and can be easily adjusted to maximize your game. 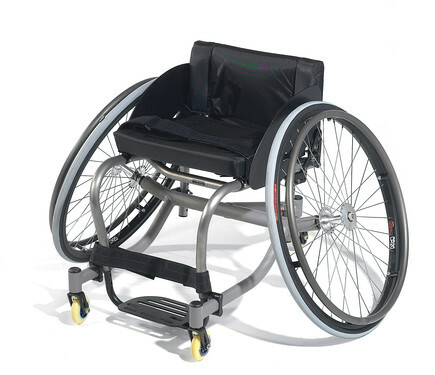 The Match Point features an extra wide front footprint, meaning the caster wheels are set farther apart than other sports wheelchairs. This wide stance gives you additional stability when you are leaning forward or to the side to return a tough shot. For the lightest possible weight, choose the Match Point Ti. Its titanium seat frame shaves over 2.5 lbs. off the chair's overall weight! Perfect for an avid athlete, titanium is also scratch and corrosion resistant. 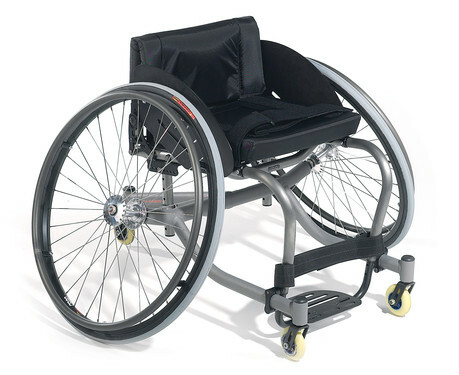 Wheelchair Weight Match Point: 22.5 lbs. Match Point Ti: 20 lbs.